I’ve been baking a lot of pizzas recently. They’re inexpensive, easy to prepare, and I can load them up with enough vegetables to offset any guilt induced by meat and mozzarella cheese. 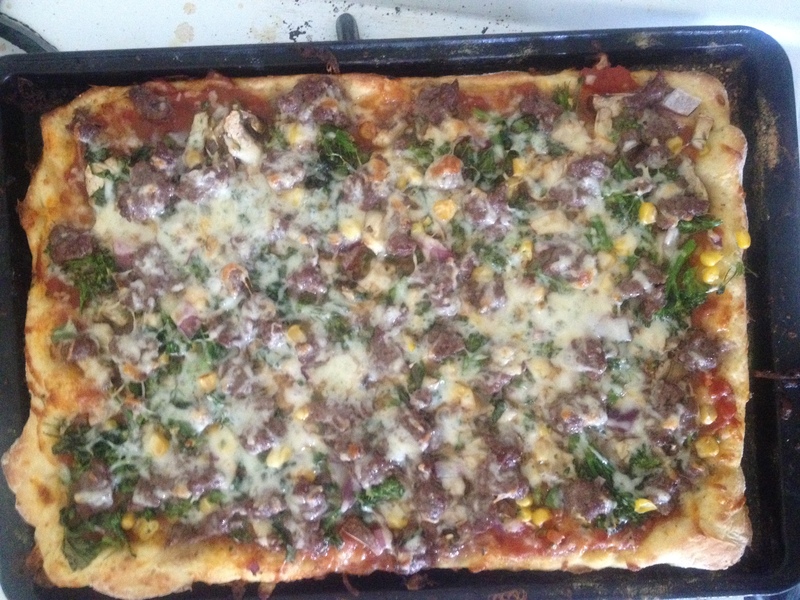 Ground beef, baby broccoli, red onion and corn. Sausage, anchovy, onion, grape tomatoes, basil, Parmesan. No time for salad? 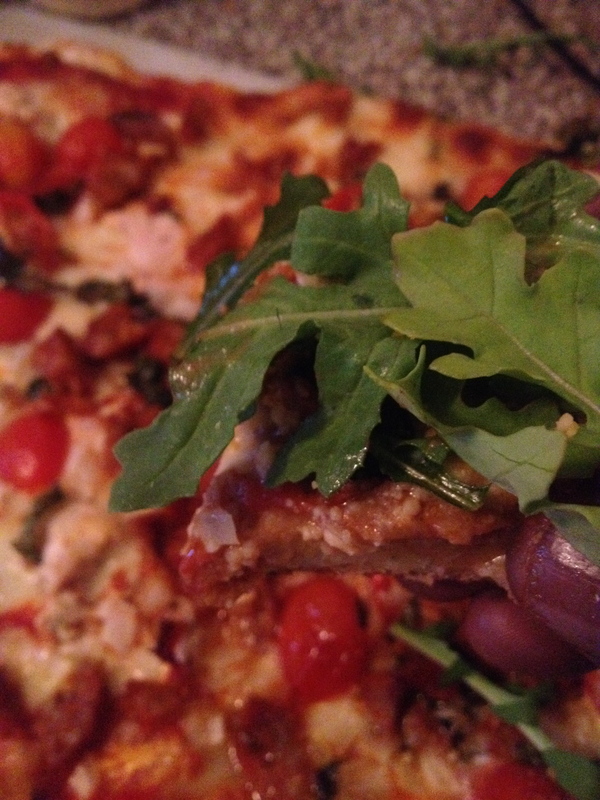 Arugula is an excellent pizza topping. Combine the sugar and yeast in a coffee mug. Add 1 oz. of warm water, stir and set aside for 10-15 minutes. In a large bowl, add the flour, salt and cornmeal. Drizzle in the olive oil and combine with a fork or a single chopstick. When the yeast looks like it’s having a party, top off the mug with 1/2 cup warm water and pour it into the flour mixture while stirring just until all ingredients are incorporated; you may need to add another ounce or two of water. What you want is a firm, sticky ball that has some elasticity. Transfer the dough to another bowl coated with olive oil and cover with a dishcloth for 90 minutes. Sprinkle cornmeal on a baking stone or cookie sheet. Place the dough on your baking surface, then add sauce, cheese and toppings. 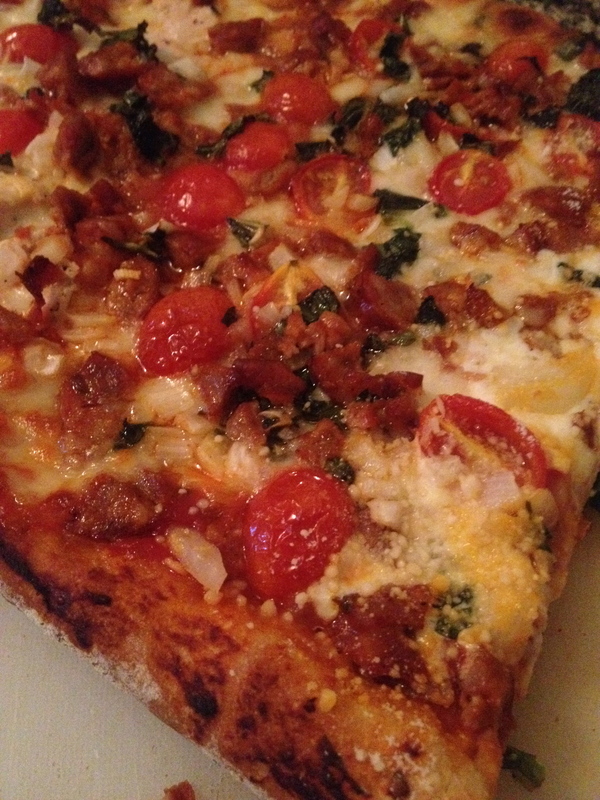 Place in a 500-degree oven for 7-10 minutes until crust is golden-brown and toppings are cooked/caramelized. 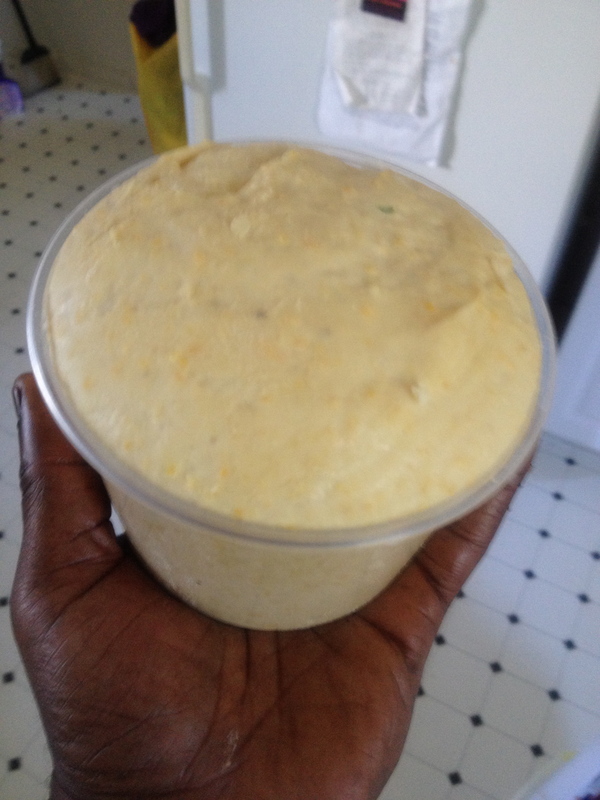 Refrigerate leftover pizza dough in a sealed container. Cornmeal and olive oil make a pizza even more savory and give the crust a very satisfying crunch, even after a night in the refrigerator. Add chopped thyme, basil or even a pinch of Herbes de Provence to the dough for a flavor boost. Feel free to make a double batch; this keeps for several days in a sealed refrigerated container. And never buy pizza sauce; once you realize how easy it is to make, you’ll kick yourself. 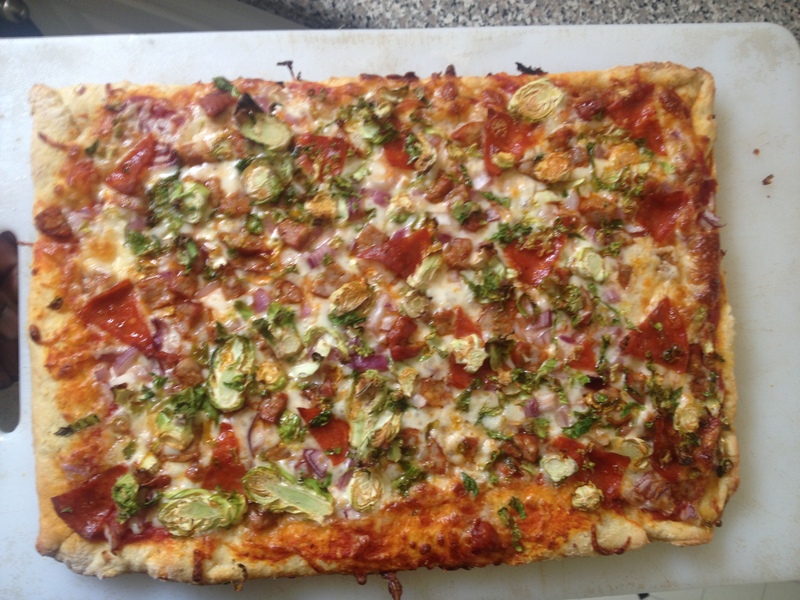 Uncured pepperoni, Brussels sprouts, red onion, and a few bits of sausage. More Gaudy Patter · Puppet, pauper, pirate, poet, pawn, king, community manager.